Share in our passion for cheese. Inspired by a sense of place for 80 years, Rogue Creamery draws from the beauty and flavors of Southern Oregon's Rogue River Valley to create eight handcrafted blue cheese recipes, cheddar cheese and TouVelle. 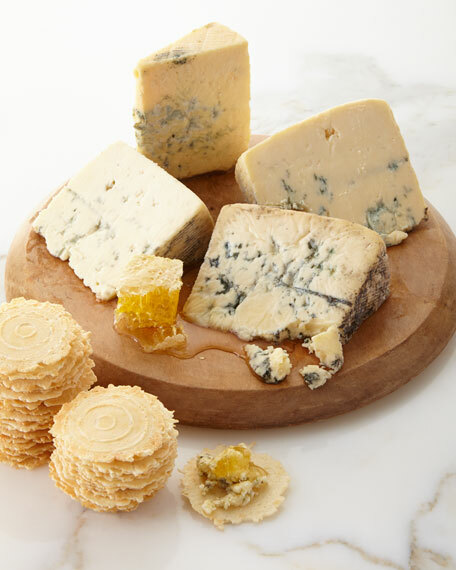 Over the last half century, Rogue Creamery blue cheeses have received international acclaim. The certified sustainable whole milk we use to make these original blues comes from Rogue Creamery's dairies along the banks of the rugged and scenic Rogue River. Our Mission: People dedicated to sustainability, service, and the art and tradition of creating the world's finest handmade cheese. Made with USDA Certified Organic pasteurized cow milk. Three 7-oz. wedges; 1.75-oz. servings. Weighs 1.75 lbs; serves 16.